Although Drexel University doesn’t have many traditions, the ones we do have are held very dear to students. Taking an exam on those crappy board things in Main Auditorium, the excitement of your first co-op job and picking up The Triangle every Friday are experiences that almost all Drexel students can share. 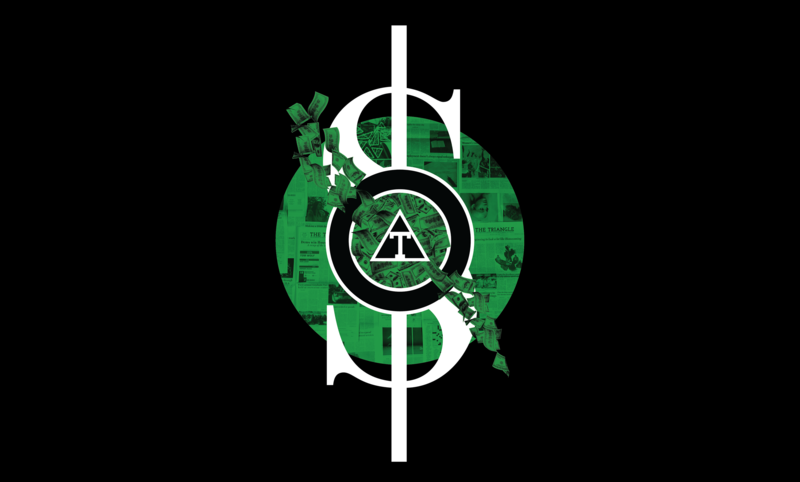 After years of struggling financially and suffering from a decrease in readership and revenue, The Triangle is close to having zero dollars left in its bank account. Unlike many other student organizations, The Triangle does not accept funding from SAFAC or any other Drexel fund as per its original 1926 charter. It takes roughly $1,000 per week to print 3,200 copies of the 12-page paper, all of which are distributed across campus and available to members of the Drexel community free of charge. This cost is covered entirely by advertising sales made by student staff members — or at least, it was for most of The Triangle’s history. Many businesses today have abandoned newspaper advertisements all together, opting instead for new ways of marketing to college students. That’s not to say these new technologies aren’t a good thing. But for The Triangle, it means having to find new ways to financially support the learning experiences of its more than 90 student staff members. The Triangle was not created nor has it ever existed as a way to make a profit. The Triangle’s first and foremost goal is to create intriguing stories that bring value to its readers in the Drexel community — selling advertisements was simply a means to achieve that. The team at The Triangle is now exploring alternative ways to support that mission. But new streams for funding aren’t developed overnight, and The Triangle needs your help to continue its operations. You’ve seen Drexel’s “Day of Giving,” and now The Triangle is starting its own funding campaign — “The Triangle’s Week of Begging.” While humorous in name, it’s no joke; the gravity of the situation is dire. The Triangle is setting its campaign funding goal at $16,000. Why? Because there are nearly 16,000 undergraduate students enrolled at Drexel. If every one of them donated just $1, The Triangle will reach its funding goal. The Triangle will use all donated funds to continue its print operations until the organization can be financially self-sufficient again. If you’re a student, faculty or staff member, alumnus or anyone else who wants to help support The Triangle monetarily, you can make a contribution at www.thetriangle.org/donate. If you think you can help in other ways or just want to leave a comment, you are encouraged to contact Mike Avena, Editor-in-Chief, directly at [email protected]. As things currently stand, The Triangle will not be printing future issues. If you’re reading this in the print edition now, then you may be reading one of the last stories ever printed by The Triangle, and that should not be a statement uttered in pride. As things currently stand, The Triangle can no longer say “we put out on Fridays”.